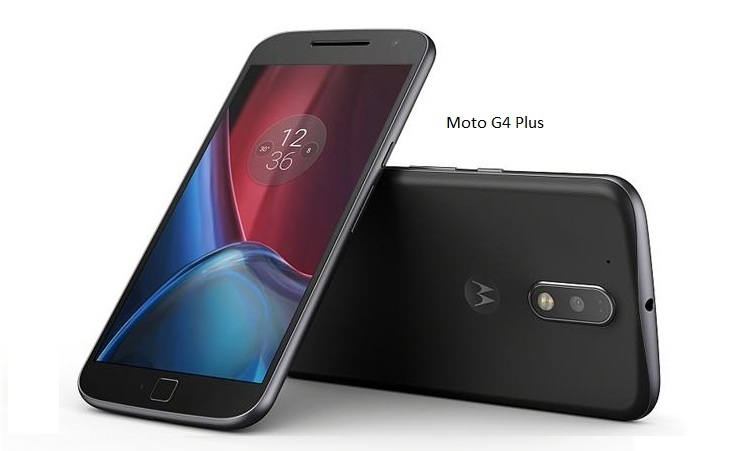 Motorola (Lenovo) yesterday announced its 4th Generation mobiles i.e Moto G4 & Moto G4 Plus. We feel great to tell you that most of our speculation about both devices including the price were correct. The Moto G4 Sports an Octa Core Snapdragon 617, 2 GB Ram, 5.5 inch Full HD display. The Moto G4 Comes with 16/32 GB internal storage options. Which can be further expanded up to 128 GB. Talking about the Moto G4 Plus, it comes with almost the same specs compared to Moto G4 but with minor upgrades. Such as a fingerprint sensor, 16 MP rear camera with phase detection & laser auto focus. The Moto G4 Plus comes in different variants in terms of Ram, Such as 2 GB Ram (with 16 GB variant) whereas 3 GB Ram (with 32 GB variant) & 4 GB Ram (with 64 GB variant). It is the first time Motorola (also known as Lenovo) has introduced a fingerprint sensor (Moto G4 Plus) which is present at the home button much like you may have seen in Samsung phones. (Though the shape of home button is square in Moto G4 Plus). Talking about the design, both the phones has a plastic body which is quite disappointing since these days most of the phones comes with a metallic body. Octa Core Snapdragon 617 CPU. 13 MP Rear camera with phase detection auto focus. 5 MP (f/2.2 aperture) Front camera with auto HDR. 16/32 GB Internal Storage Options. Expandable up to 128 GB Via Micro SD Card (dedicated slot). up to 4 GB Ram. (64 GB Variant). CPU/GPU Octa Core. (1.5 GHz Quad-core A-53 & 1.2 GHz Quad-core Cortex A-53). Qualcomm M.S.M 8952 Snapdragon 617 CPU. | GPU Adreno 405. CAMERA REAR 13 MP. With Auto focus & LED flash. Resolution 4128 x 3096 pixels, | Features: Touch focus, face detection, panorama, H.D.R, Geo-tagging. | Video Features 1080 p@30 fps, H.D.R recording | FRONT/SELFIE CAMERA 5 MP With Auto HDR. STORAGE 16/32 GB Internal Options. Expandable up to 128 GB Via Micro SD Card. (dedicated slot). FEATURES Octa Core CPU. | Corning Gorilla Glass 3 Protection On Screen. | Fast battery charging | Full HD display. SENSORS Accelerometer, proximity, Gyro, compass. CONNECTIVITY Bluetooth v 4.1. | W.I-F.I 802.11 a/b/g/n. |W.I-F.I Direct, Hot Spot. | SIM (G.S.M). Size Micro SIM. CAMERA REAR: 16 MP. With Phase detection & Laser Auto focus & LED flash. | Features: Touch focus, face detection, panorama, H.D.R, Geo-tagging. | Video Features 1080 p@30 fps, H.D.R recording | FRONT/SELFIE CAMERA 5 MP With Auto HDR. STORAGE 16/32/64 GB Internal Options. Expandable up to 128 GB Via micro SD card (Dedicated slot). RAM 2/3/4 GB With 16/32/64 Variants Respectively. FEATURES Hybrid focus rear camera. | Corning Gorilla Glass 3 Protection On Screen. | Fingerprint sensor. | Fast battery charging: Turbo charge. | Full HD display. | Fingerprint Sensor. The base variant with 16 GB internal storage & 2 GB ram is priced at 13,499 Rupees in India. The Mid Variant with 32 GB internal storage & 3 GB ram is priced at 14,999 Rupees in India. The Top Variant with 64 GB internal storage & 4 GB ram is expected to cost around 16,499 Rupees in India. (there is no official news about the price of 64 GB variant as of now. But you don’t have to worry we will keep you posted). Talking about the availability the 16 GB & 32 GB variant will go on sale Exclusively on Amazon from Tuesday Mid Night (12:00 AM i.e Wednesday). It will be available in 2 color options i.e Black, White. Unfortunately there is no info about its price & availability as of now. But below you can its expected price & release date. The base variant with 16 GB internal storage is expected to cost around 11,999 Rupees in India. The Top Variant with 32 GB internal storage is expected to cost around 12,499 Rupees in India.